This month I had my first look at the lookfantastic Beauty Box. 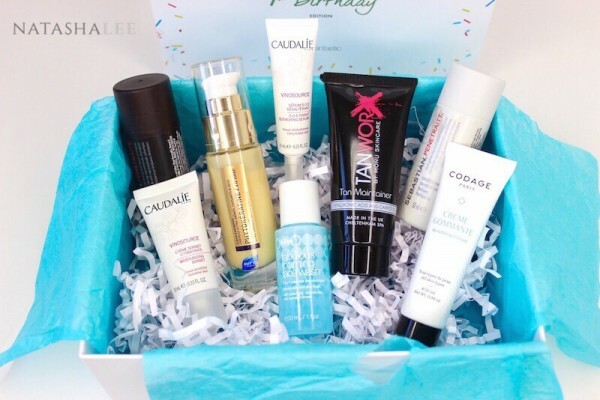 The September 2015 lookfantastic beauty box is their celebratory 1st Birthday edition. Priced very competitively at £15 including postage, it’s absolutely packed full of goodies! As it was my first box from lookfantastic so I wasn’t sure what to expect really as my only previous experience with Beauty Boxes is my Birchbox subscription. However, it was a really pleasant surprise. The box is much larger than my Birchboxes and the samples inside were much larger. It certainly weighed a surprising amount and smelt fantastic when the lid was taken off! So what was inside? There were so many products included within the box that when I was filming the vlog above I thought I’d covered all of the items but I’d actually missed one and managed to tag it on at the end! All the products inside were skin or haircare products, sadly there weren’t any cosmetics, which is a bit of a shame as I love the brands that lookfantastic stock. However, the lookfantastic beauty box was so well stocked with generous sized samples that I really didn’t mind! What’s inside my lookfantastic 1st Birthday Beauty Box? There was so much inside, that I’m not sure where to start! I’ll start with one of the products that I’ve been using daily since I received it in the box. 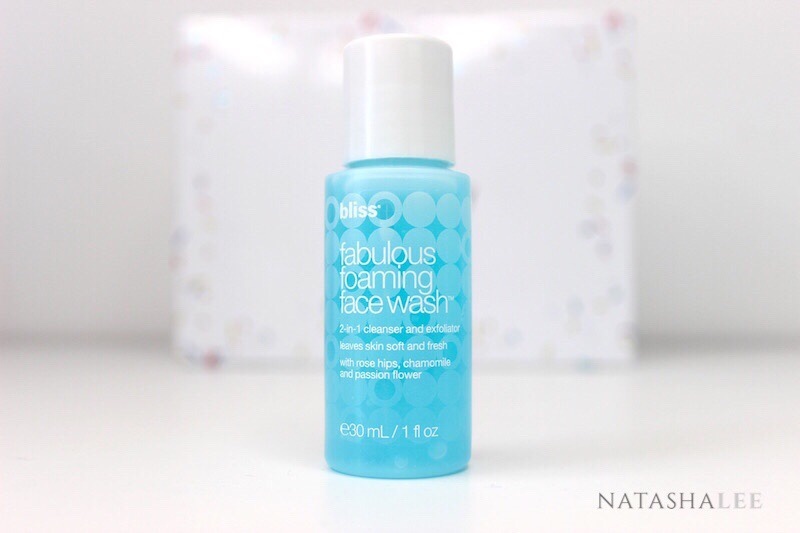 I’m very fussy about my Cleanse, Tone & Moisturise routine as you may have noticed from some of my other blogs about it, so I was naturally very skeptical of the Bliss Fabulous Foaming Facewash 2-in-1 cleanser and exfoliator. This was a surprise though, especially as I have sensitive/dry skin. At first I used it daily and it was fantastic, but now almost a fortnight on I’ve realised that it’s a little too drying for my skin to use everyday. If you have oily skin, then go ahead and use daily, but if your skin is a little more on the sensitive/dry side then I’d say 2-3 times a week max just to brighten up your skin and exfoliate. Whilst it is advertised as a foaming face wash, it’s very very mildly foaming, just enough to be able to easily smoothly cover your face. I’ll confess that I haven’t got round to trying these beauties yet but the reviews on the Sebastian Penetraitt Shampoo & Conditioner are AMAZING!! Despite not being advertised as a clarifying shampoo and conditioner, the 5 star reviews state that they have a clarifying action on the hair removing build up and that your hair is left amazingly silky smooth and non frizzy!! Apparently a little bit also goes a long way so although they are on the more pricey side, you get a lot of washes for your money, That’s a must for me, so I’m saving these little gems to use before a big blogging event that I have this weekend! 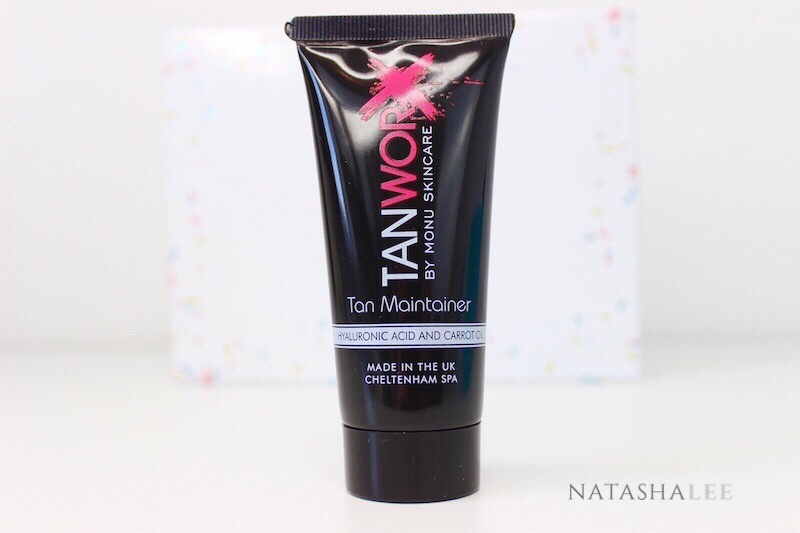 I can’t really say much about the performance of the TanWorx Tan Maintainer as I currently don’t have a tan either artificial nor natural to try it out. What I can tell you though is that it is made in the UK, which doesn’t seem to happen that often. Also it contains hyaluronic acid and carrot oil which result in a very orangey toned lotion, but very moisturising. The TanWorx Tan Maintainer, has a very strong smell of baby talc, which, unless you are adverse the the scent of baby talc, is quite nice despite being very strong. 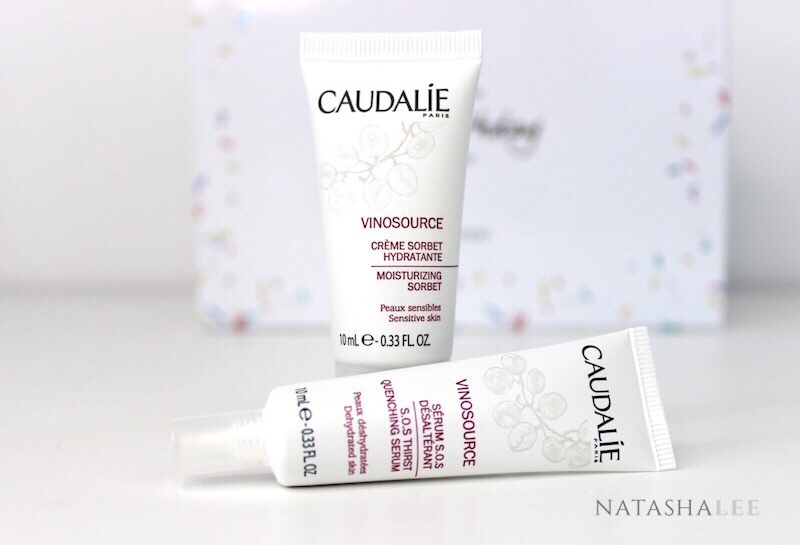 My first impressions on the Caudalíe S.O.S Thirst Quenching Serum and Caudalíe Moisturizing Sorbet were so misleading! These are some of the best skincare products that I have used! 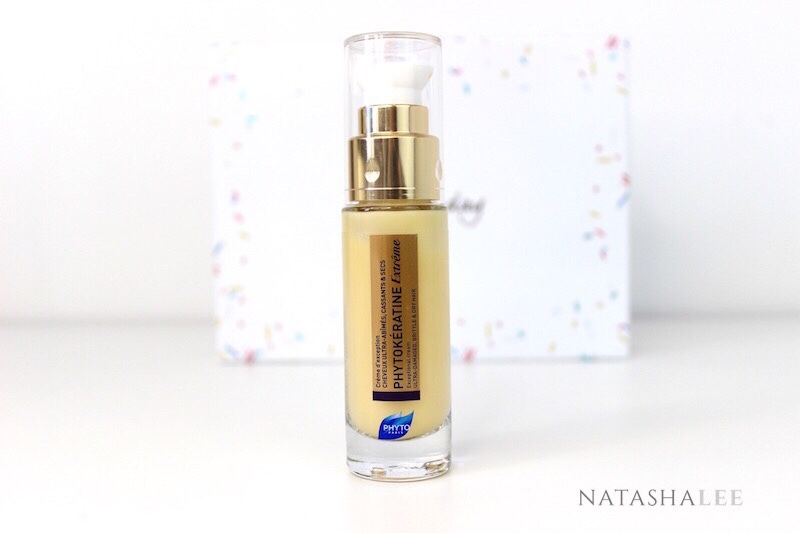 The Claudalíe Serum seems incredibly watery compared to any other brand that I’ve tried and I expected it to perform poorly but actually it is amazing! I coupled it with the Claudalíe Moisturising Sorbet (which has more of a soufflé consistency than a sorbet consistency) and together they are like miracle workers. After my first use my skin actually looked different! My skin tone was far more even and the naturally high-toned areas were cooled down, not to mention that my skin was like the softest italian silk! These are serious keepers and when the samples run out (I’ve been using them for 2 weeks twice a day and they haven’t yet!) I will be purchasing the full size! I will confess to being unsure what the Phytokératine Extréme was actually for and took a little googling to realise it was a leave-in conditioner, my bad! Once I worked out what I was to do with it 😉 I had a go and WOW! What a fantastic product Phytokératine Extréme is! I have naturally frizzy/wavy ginger hair (attractive image I’m portraying I know!) and to make it look semi decent I have to blow dry and straighten it. I even have to curl it with my GHDs to stop it from going frizzy if I’m fancying curly hair. However if you watch my vlog at the top of the page, you’ll see my hair has a nice wave and glossy look. That day I had not blowdried my hair, and I had got caught in the rain walking my youngest to school, but still it looks nice, natural and manageable and it’s because I had used the Phytokératine Extréme Conditioner in it after washing. It doesn’t feel like it leaves any weight or product in your hair and it just feels so soft and manageable. This one is a keeper! 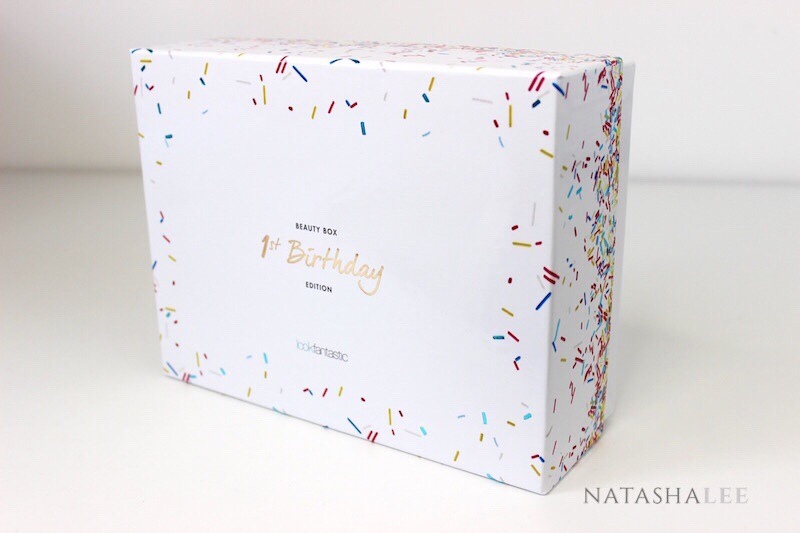 The lookfantastic Beauty Box 1st Birthday Edition was so jam packed with goodies, that I nearly missed this one hiding in the corner during filming of my vlog. 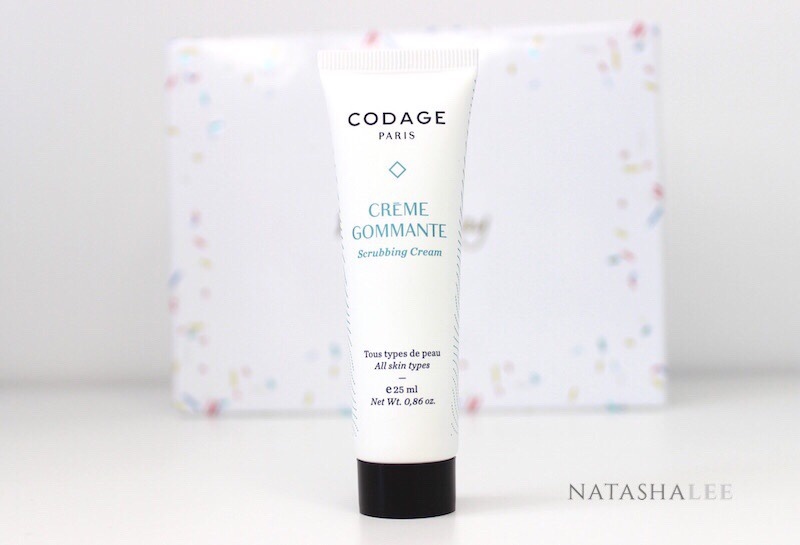 The Codage Paris Crēme Gommante is an exfoliating/scrubbing cream. I have trialled this a few times, and I would say it’s more exfoliating than the Bliss Fabulous Foaming Facewash, but feels a little more gentle than the Huygens exfoliator. This makes it perfect to use once to twice a week. It feels like it’s doing the job of exfoliating effectively but gently and unlike some exfoliators, the scent is very subtle. Well what can I say, my first experience of the lookfantastic beauty boxes and I was blown away. For £15 you get so much in the package and the samples are great sizes so you get to really trial the products to know which ones work for you. The Beauty Boxes are available to buy here and there’s some great offers on at the moment that are expiring very soon! I’d describe this as a very high end beauty box, with exceptional and luxurious products inside, all of which are available to buy on the lookfantastic.com website. I can’t wait to get my October one, and I seriously have my eye on the Advent Calendar that’s now available to preorder! !